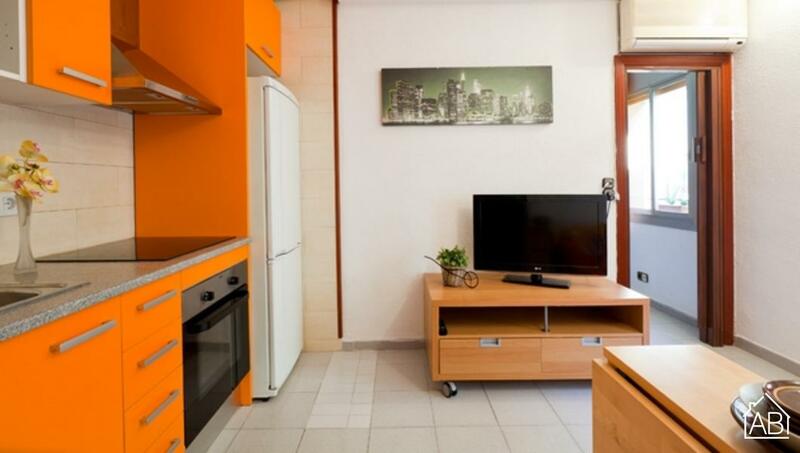 This bright, airy apartment could be your ideal home during your stay in Barcelona. Located in la Barceloneta, it is just a short walk to the city´s fantastic beaches. As well as this, it is within walking distance to the city centre and also close to a metro station allowing access to other areas of the city. Comfortable and modern the apartment has a lovely finish, ensuring a pleasant stay in the city. With two bedrooms, it can easily accommodate three people. There is a fully equipped kitchen, modern bathroom, good sized living area with TV and even a balcony for that extra touch. The apartment is fitted with air conditioning and heaters.